Situational awareness: Facebook shares fell nearly 19% today, wiping out more than $119 billion in value. Within that is a $15 billion hit for founder and CEO Mark Zuckerberg. Chart. The big picture: High-profile conservatives have complained for years that their videos are made ineligible for advertising on YouTube, their accounts or tweets are minimized on Twitter, and their posts are removed on Facebook. Trump was likely trigged by coverage around a viral article from VICE News, which asserted Trump Jr.'s spokesperson and RNC Chair Ronna McDaniel had been "shadow banned" from the platform. What's happening: People need to start by understanding that this is all about auto-fill in the search box, Axios tech editor Scott Rosenberg says. "Shadow banning" is as badly misleading a phrase as the "Hillary Clinton acid washed her server" line (all based on the name of a software utility called "bleachbit"). 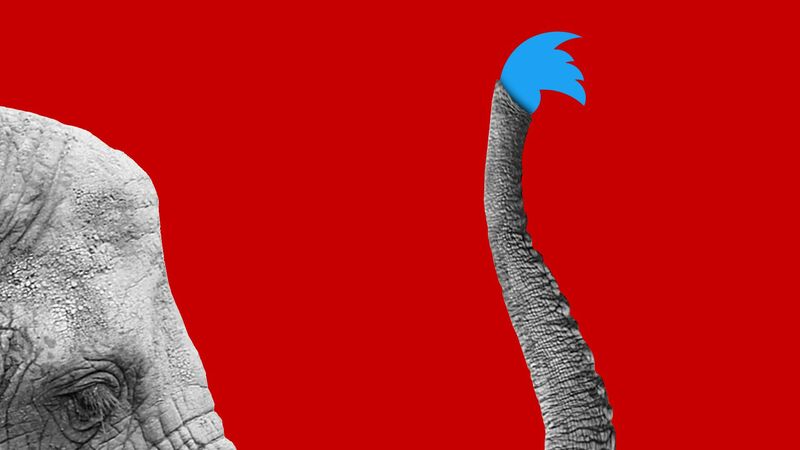 Algorithms have played a role in deciding who sees what and when since Twitter went away from a purely chronological timeline. Everyone is either shadow lifted or shadow demoted (no one is really being fully shadow banned). Reality check: New York Magazine's Brian Feldman reported that Twitter's technique is similar to something Facebook has done previously. Facebook's best attempt to "dispel information from places like InfoWars...was to secretly minimize their distribution in the site's News Feed." What Twitter's saying: "To be clear, our behavioral ranking doesn't make judgments based on political views or the substance of Tweets." The other side, as the original Vice article noted: "Democratic Party chair Tom Perez, and liberal members of Congress ... all [continued] to appear in drop-down search results. Not a single member of the 78-person Progressive Caucus [faced] the same situation in Twitter’s search." That includes 62% of Democrats and a whopping 86% of Republicans. What's next: Twitter, whose shares fell nearly 3% today, reports earnings tomorrow. Scoop: Benjamin Netanyahu has rejected Vladimir Putin's proposal to organize a summit with Palestinian President Mahmoud Abbas in Moscow. Go deeper. 80% of Americans oppose gene editing to increase intelligence in babies, according to polling released today. Go deeper. Allan Weisselberg has been subpoenaed in the Michael Cohen probe, the WSJ reports. Weisselberg is the executive vice president and chief financial officer of the Trump Organization. House Freedom Caucus founder Jim Jordan is officially running to replace Paul Ryan as Speaker. Jordan has been under criticism in recent weeks for reports that he ignored claims of sexual abuse from a doctor at Ohio State University while working as an assistant wrestling coach. A new study published in the scientific journal Nature this week found that hurricanes can accelerate natural selection among anole lizards in the Turks and Caicos islands after Hurricanes Irma and Maria struck their habitat. The research team found that the surviving population had larger toe pads, longer forelimbs and shorter hind limbs on average than the lizards surveyed before the storms.